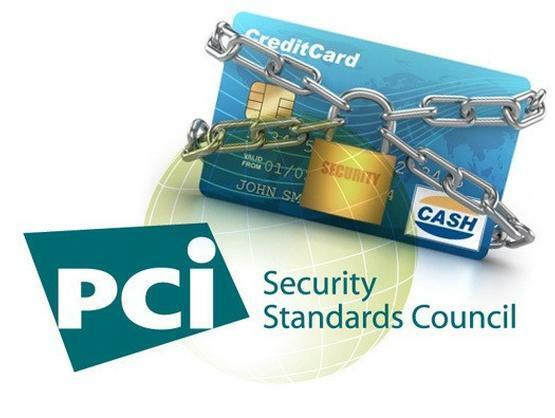 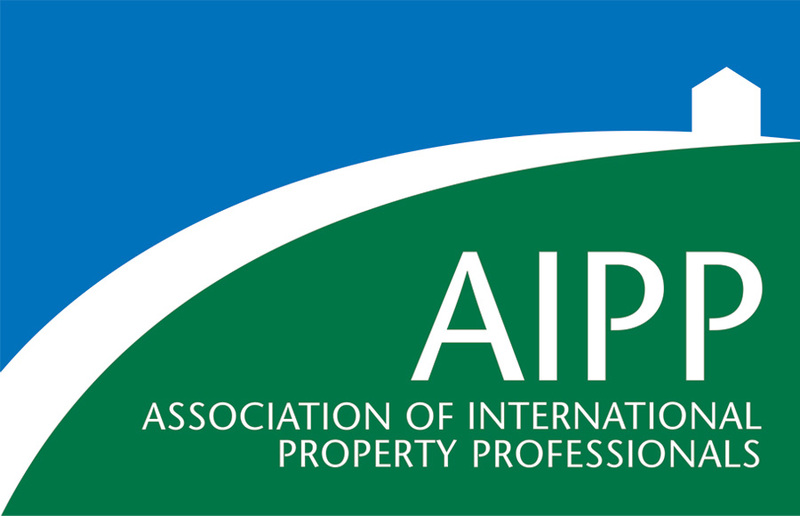 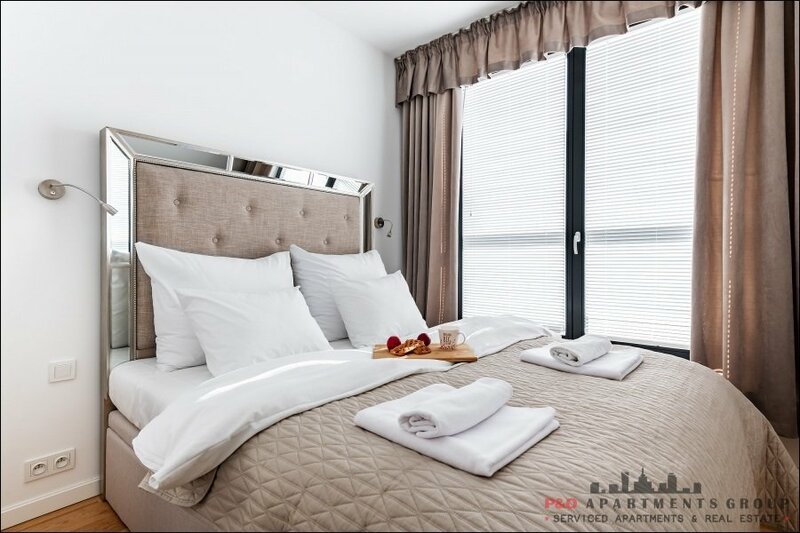 Minimum booking in chosen period is 5 days. 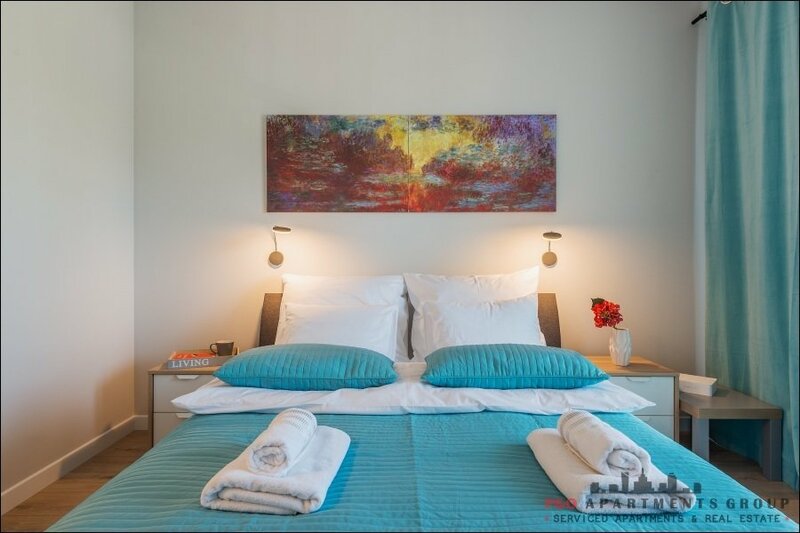 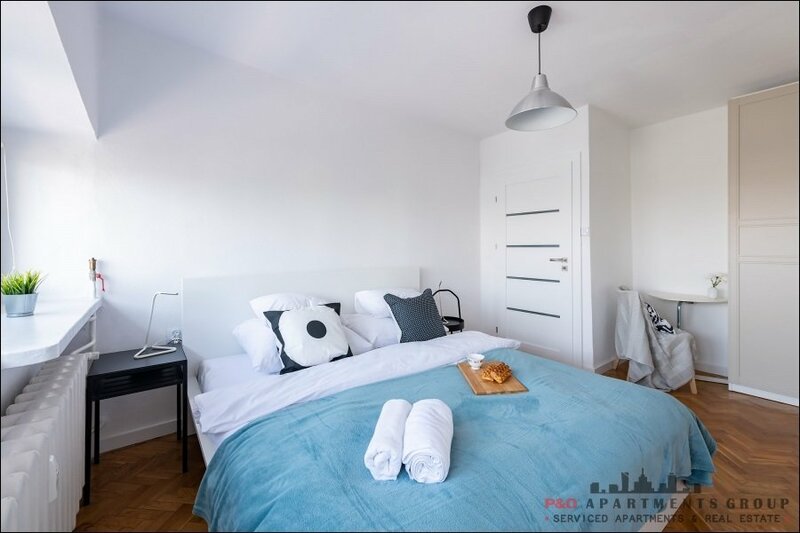 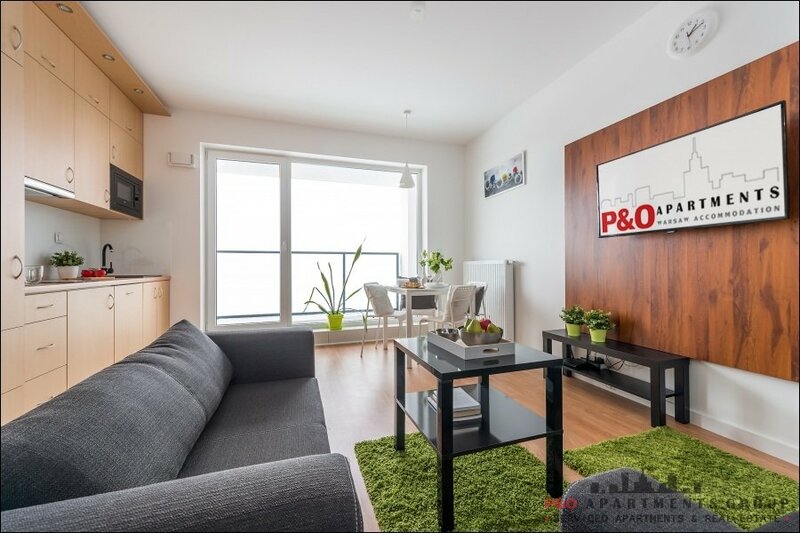 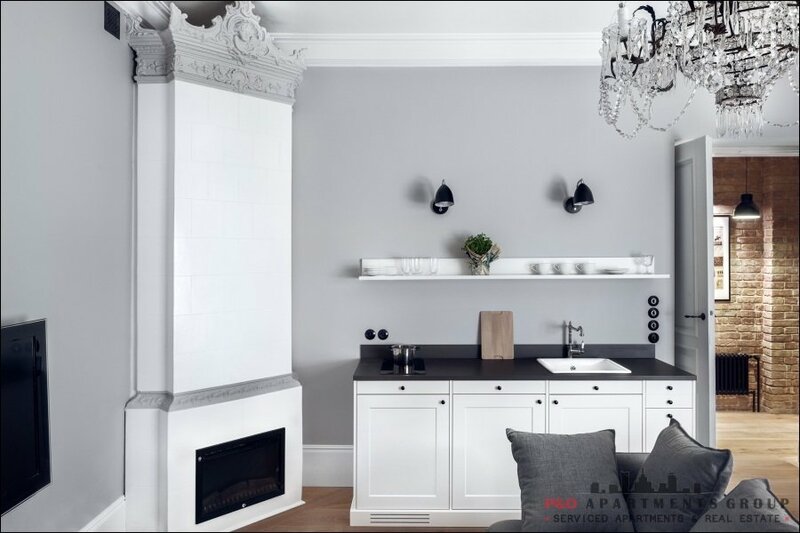 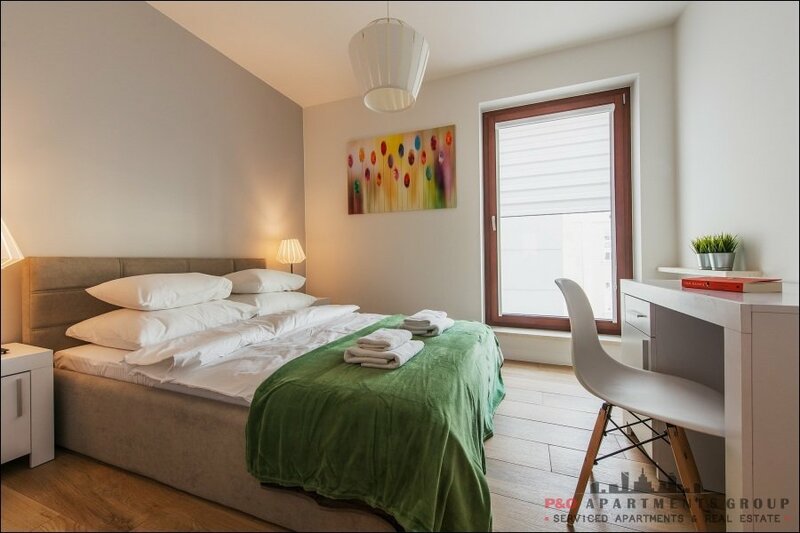 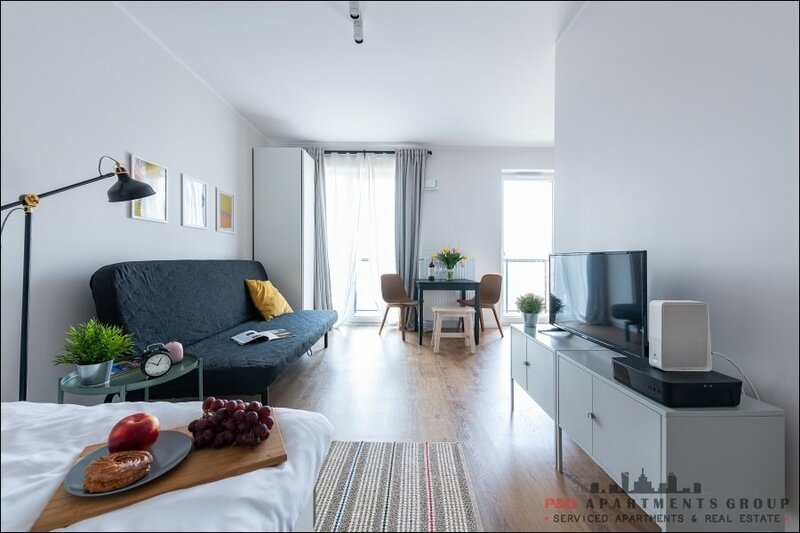 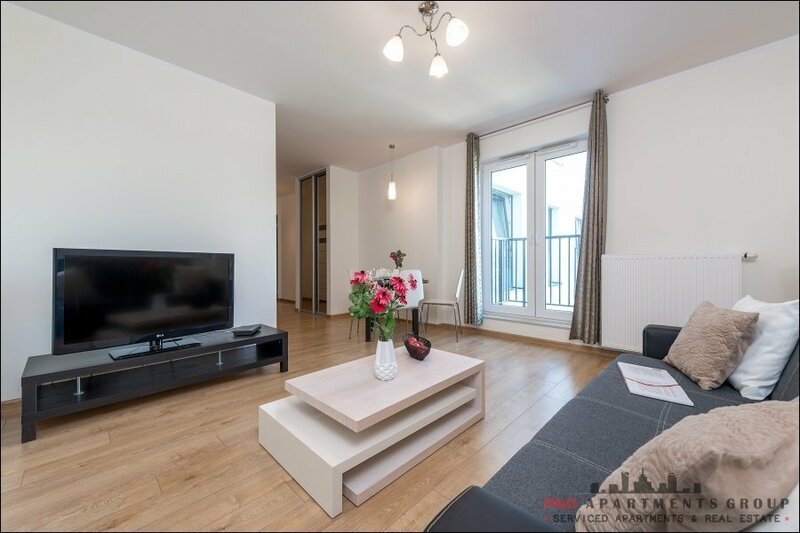 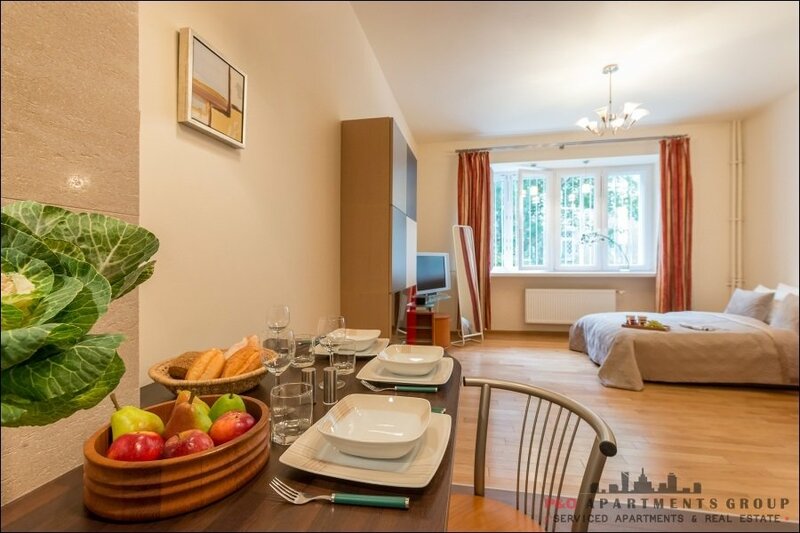 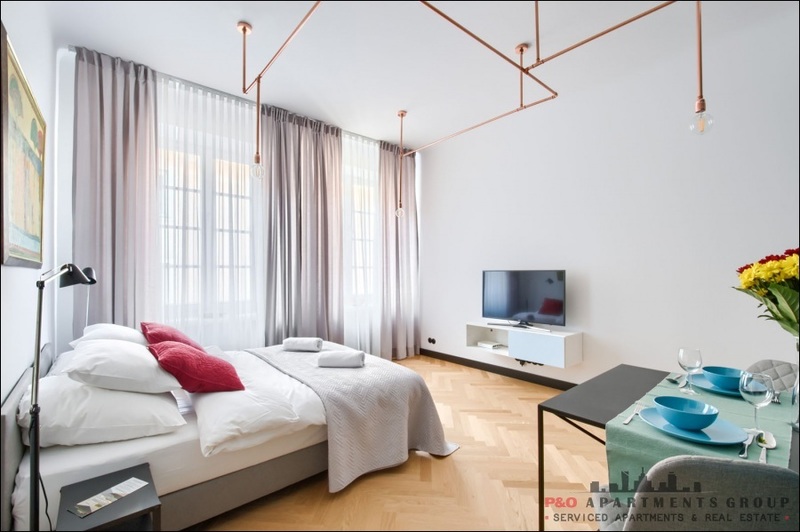 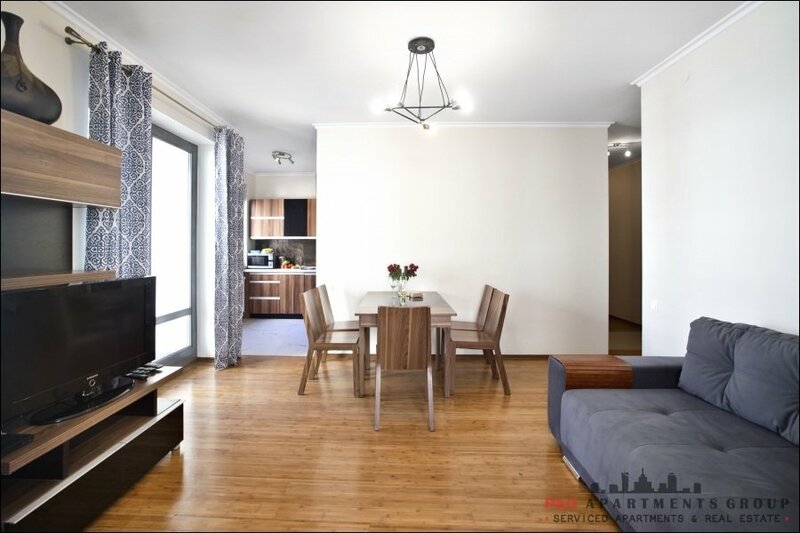 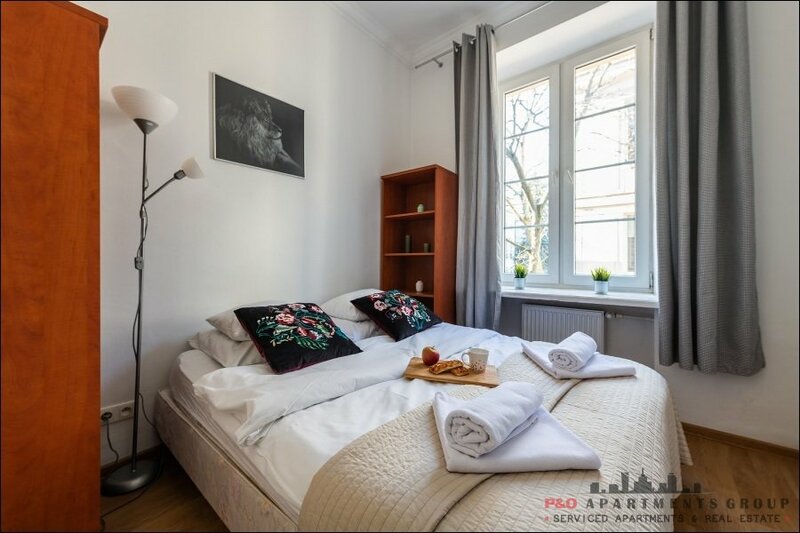 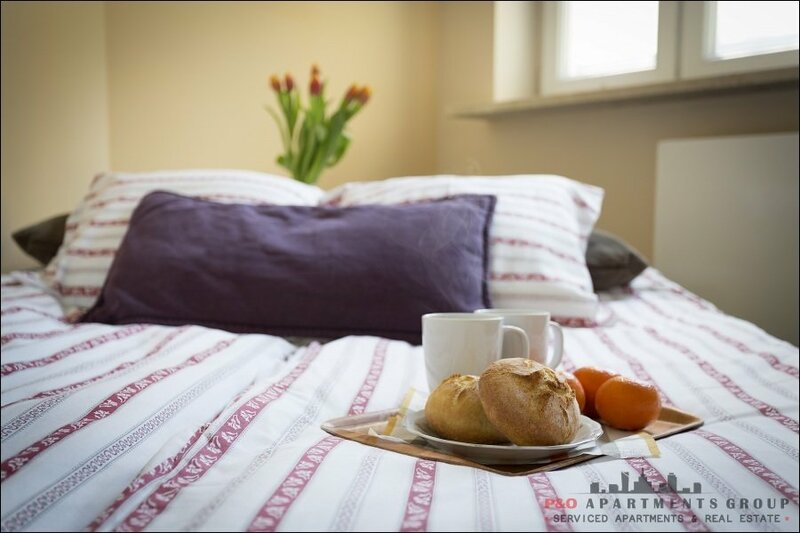 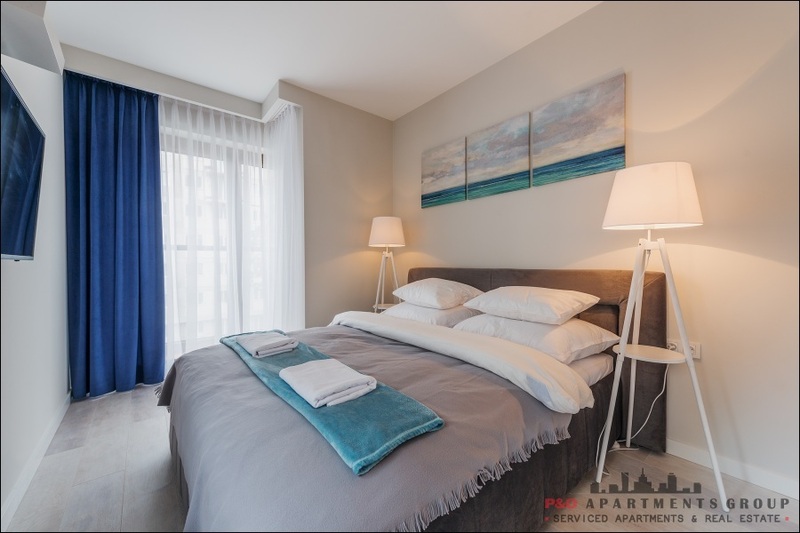 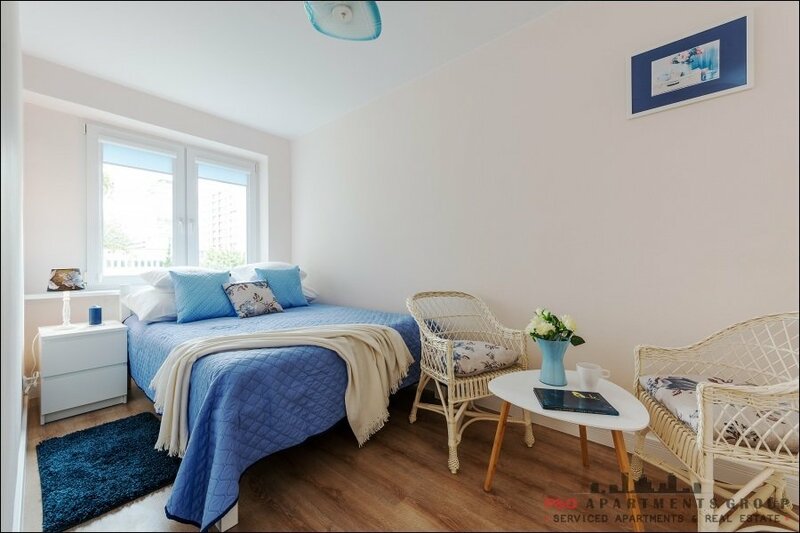 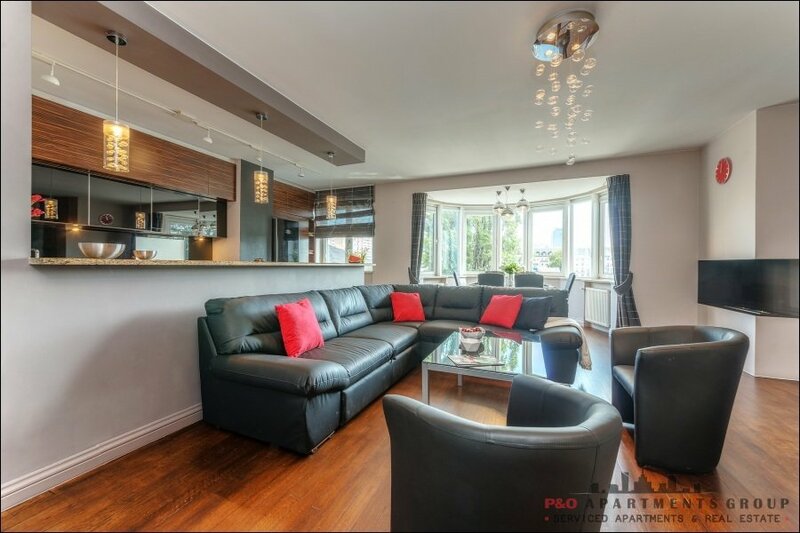 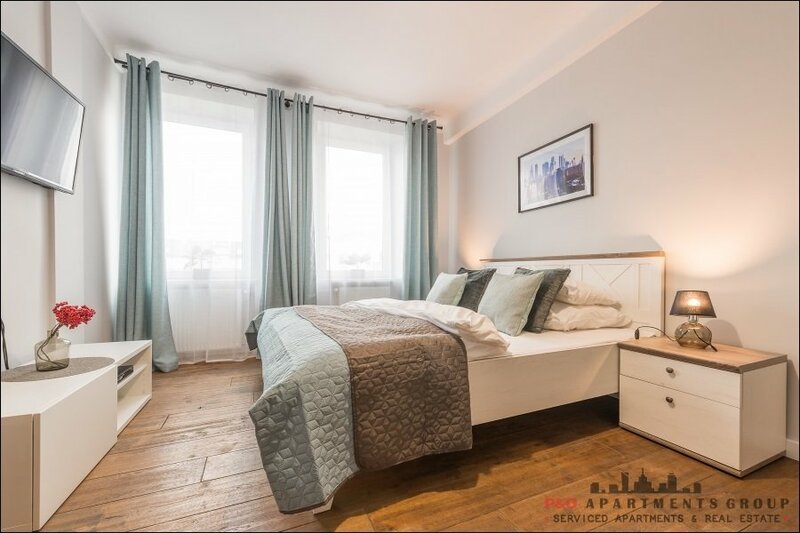 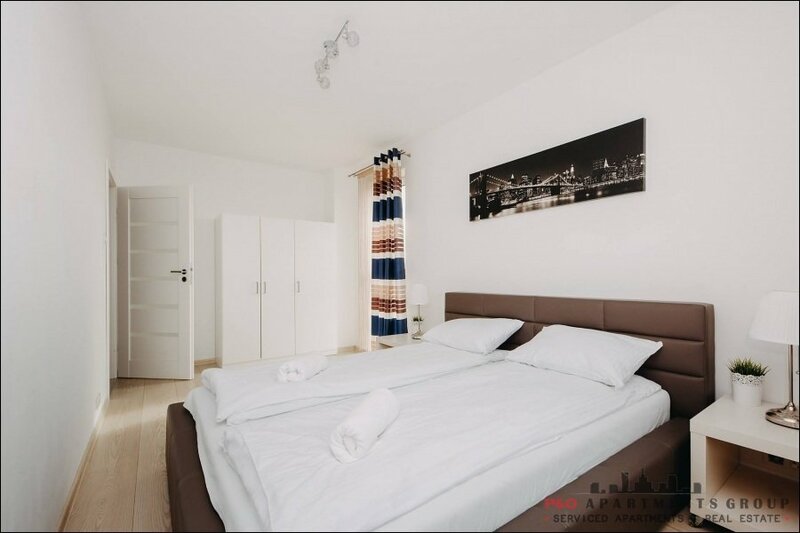 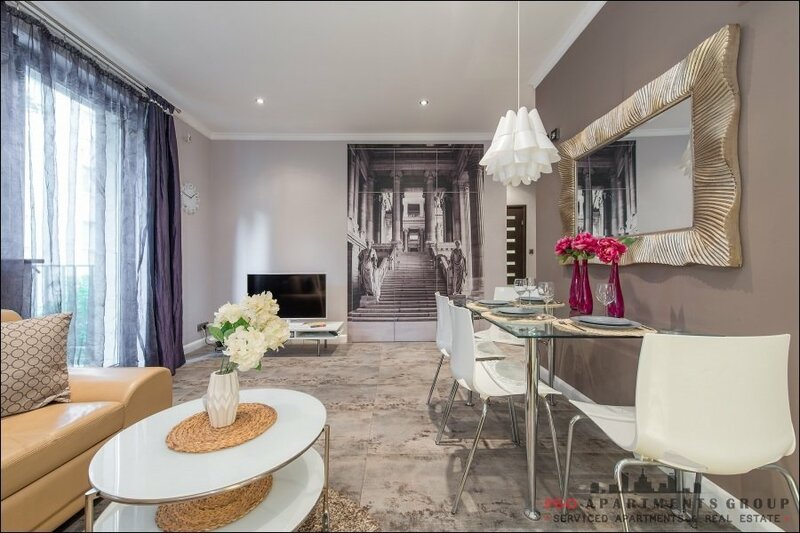 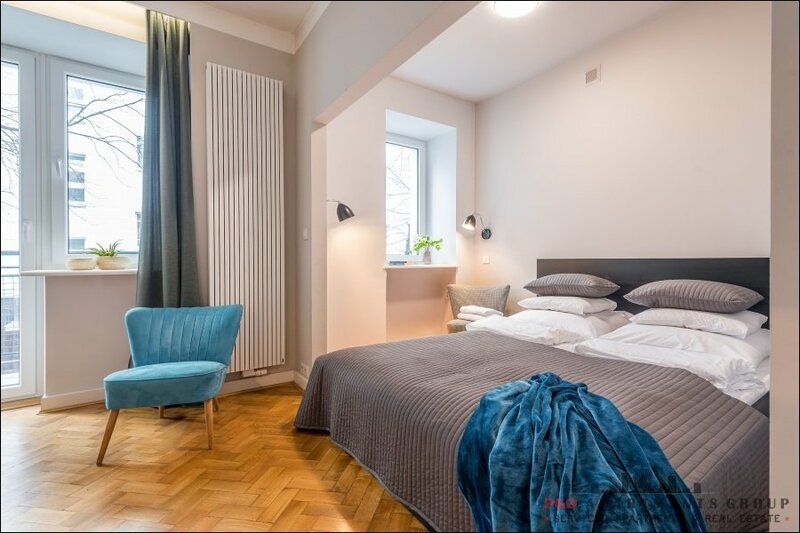 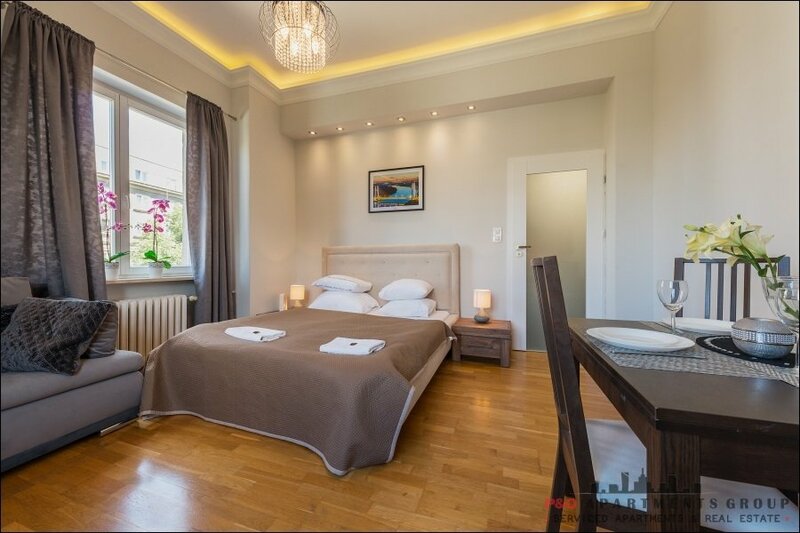 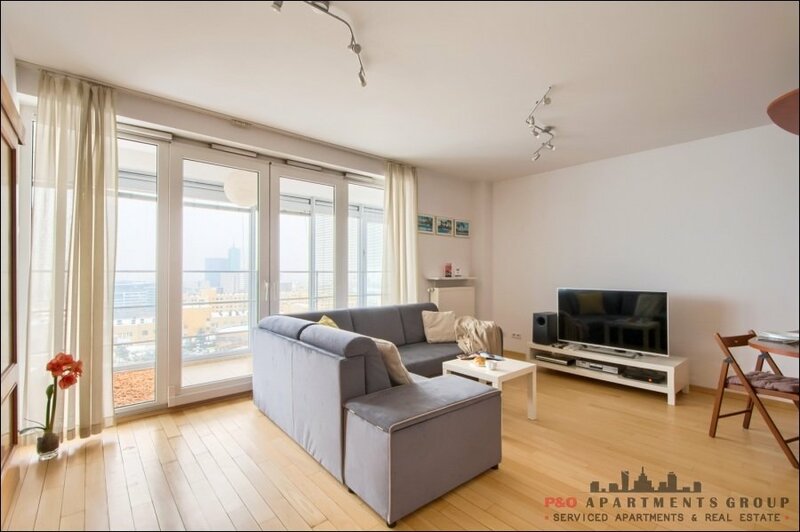 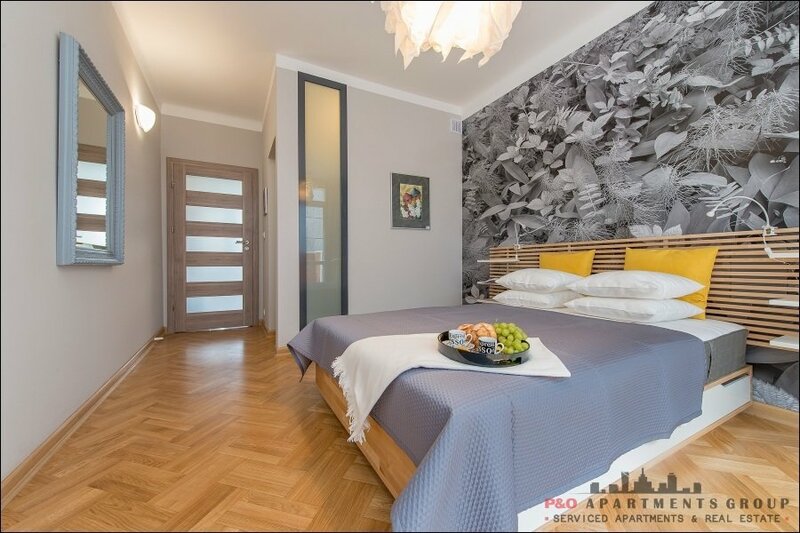 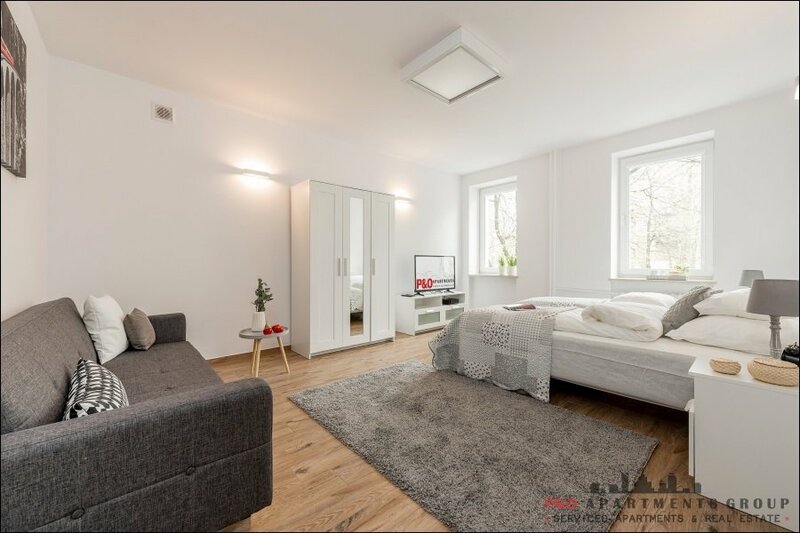 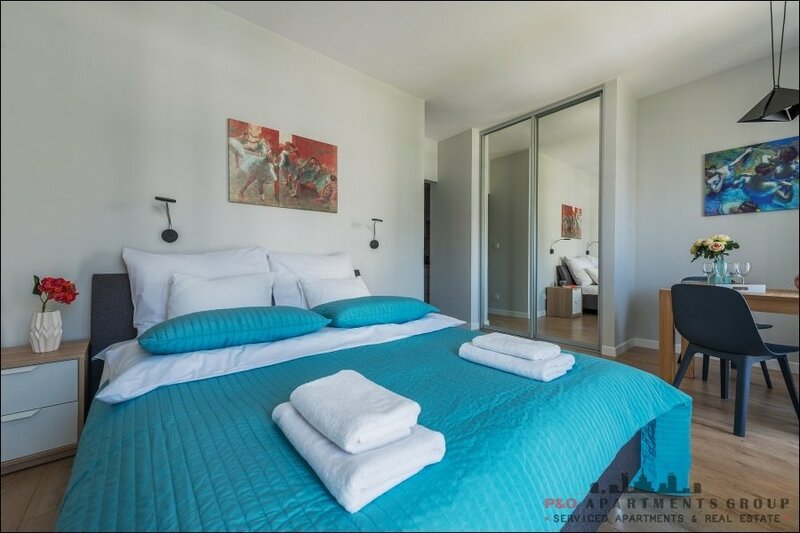 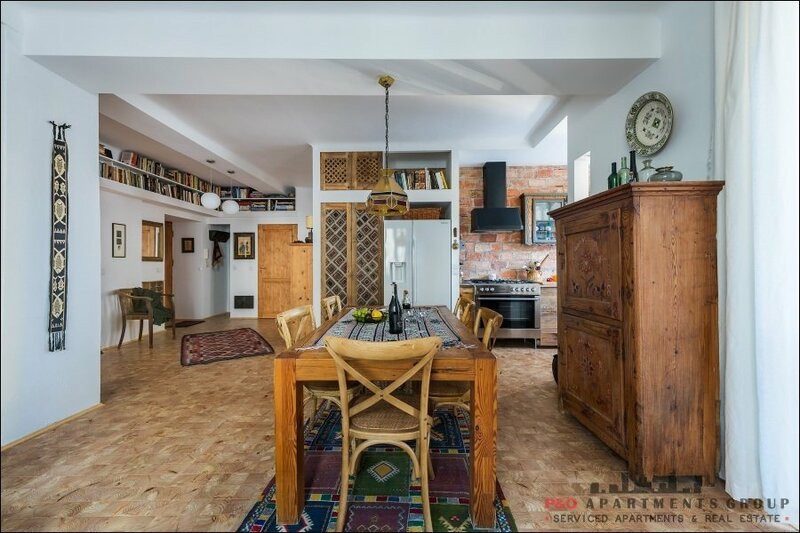 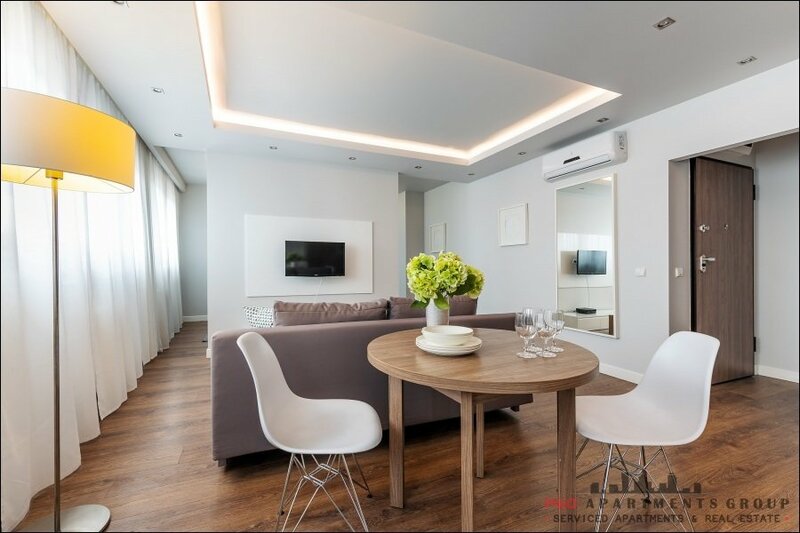 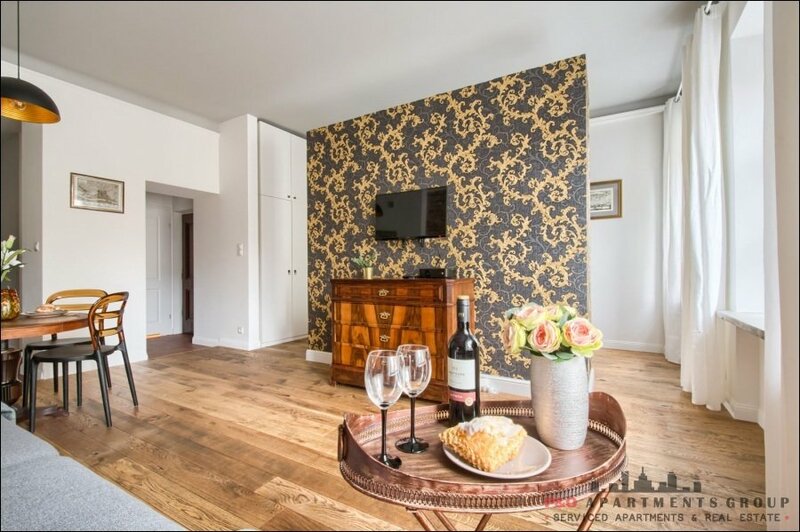 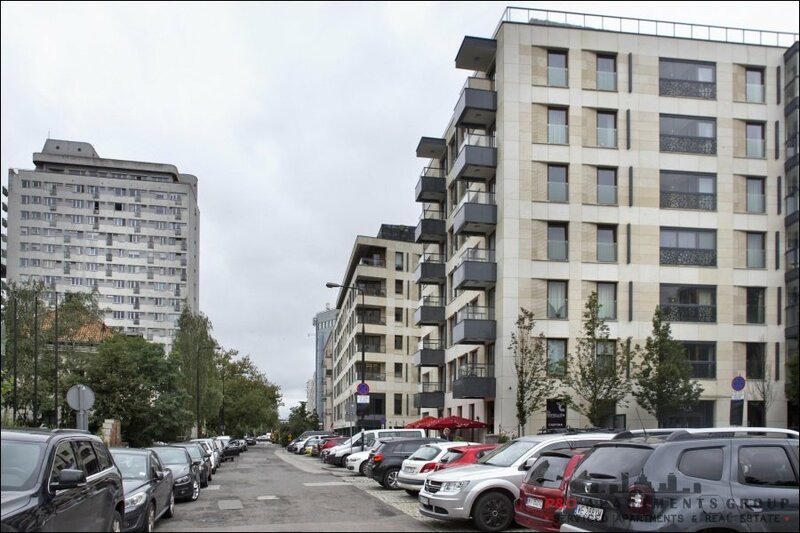 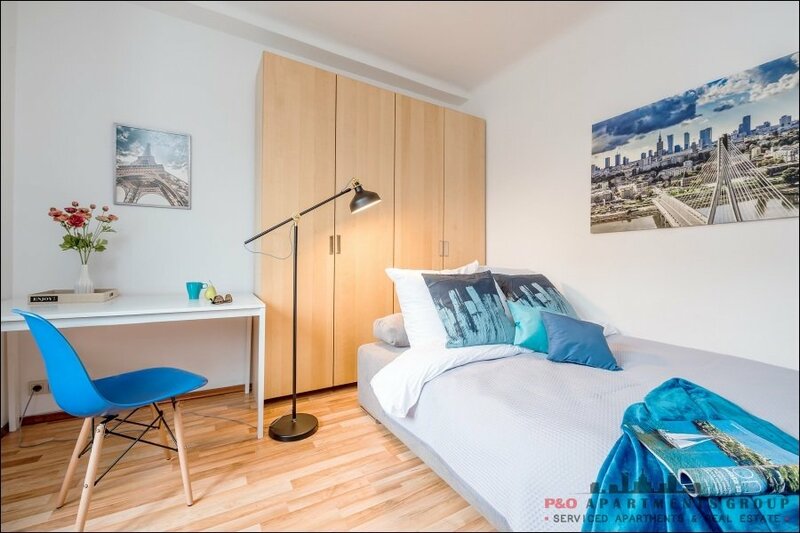 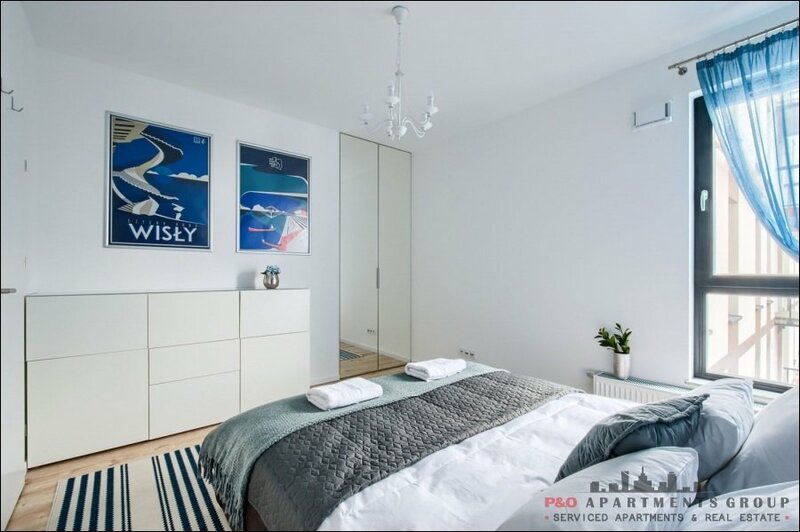 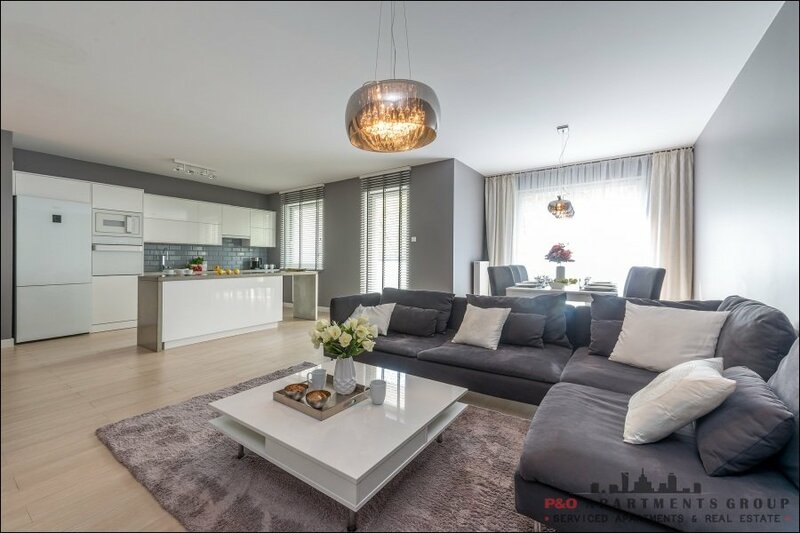 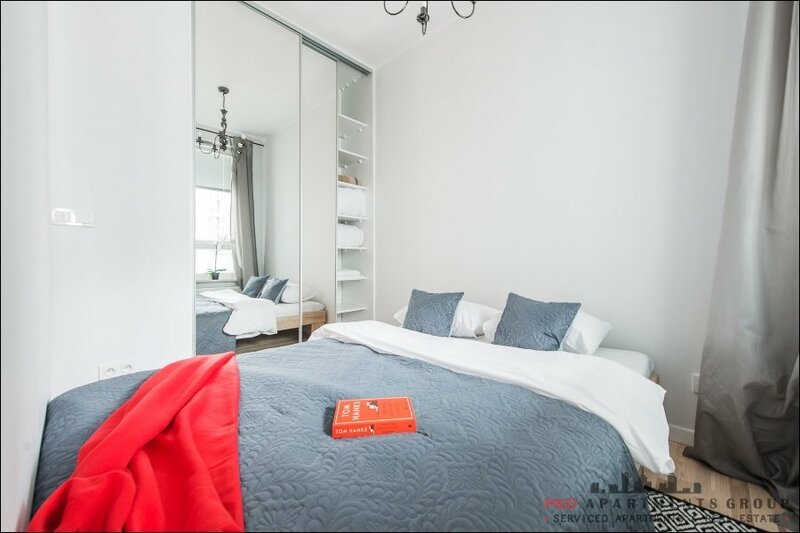 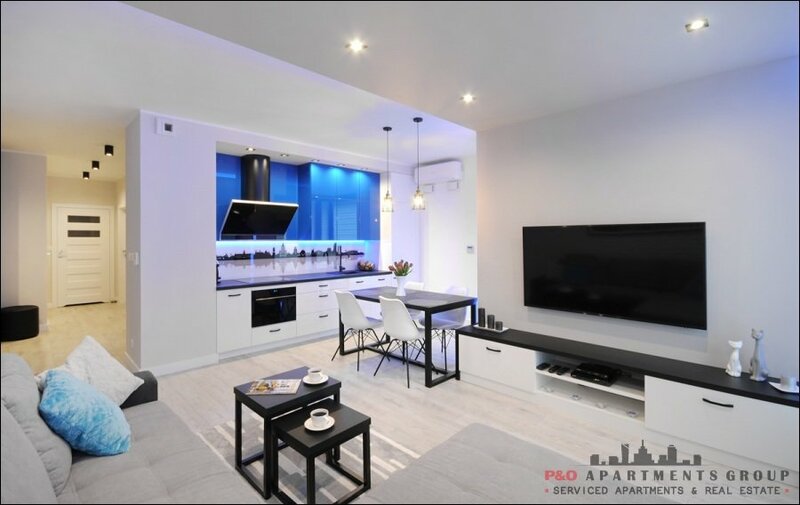 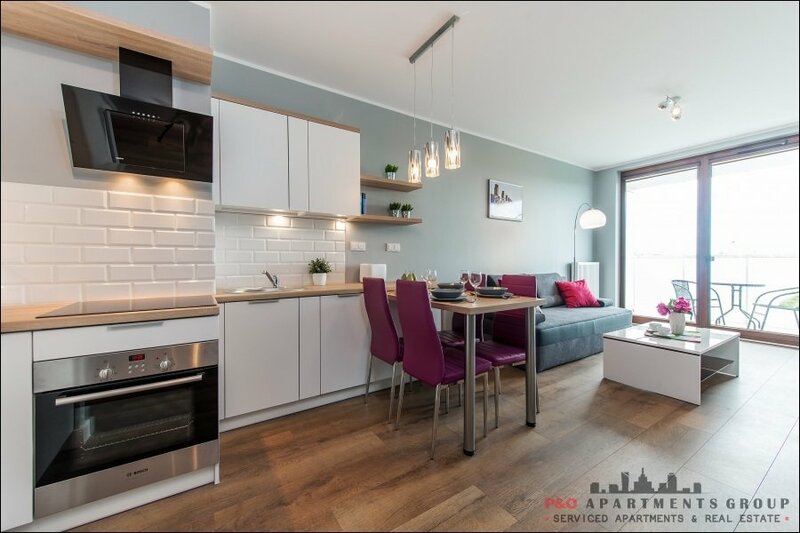 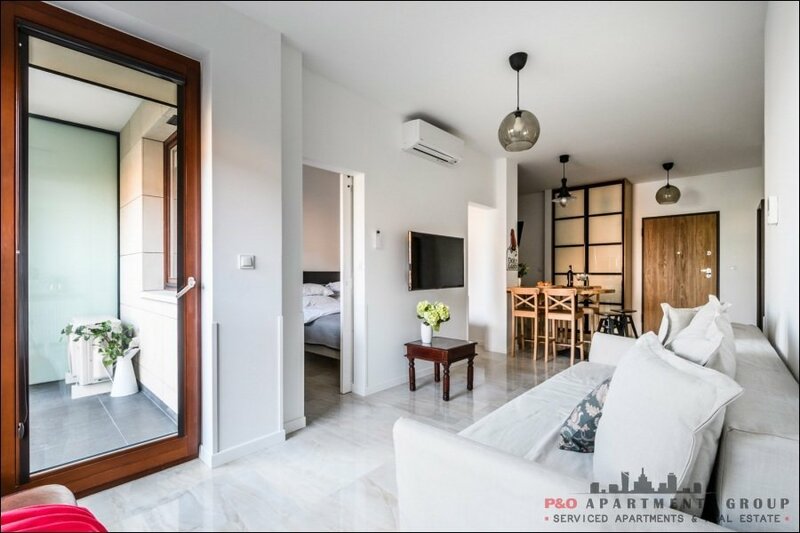 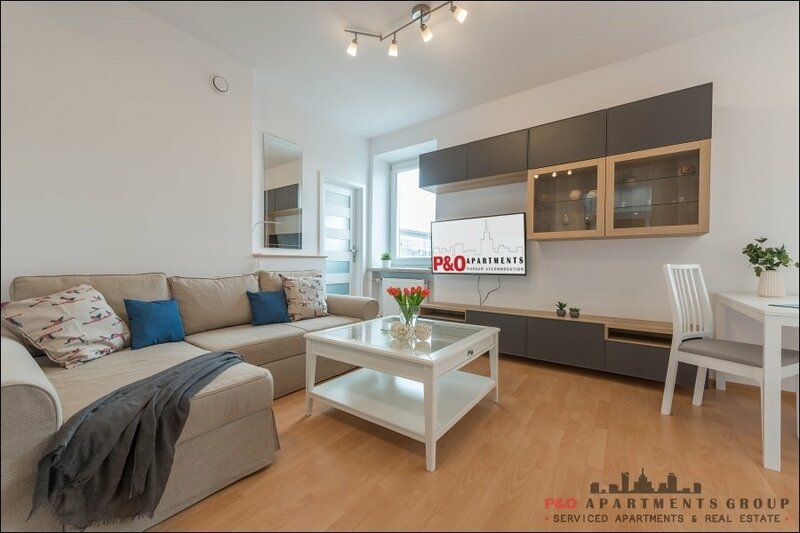 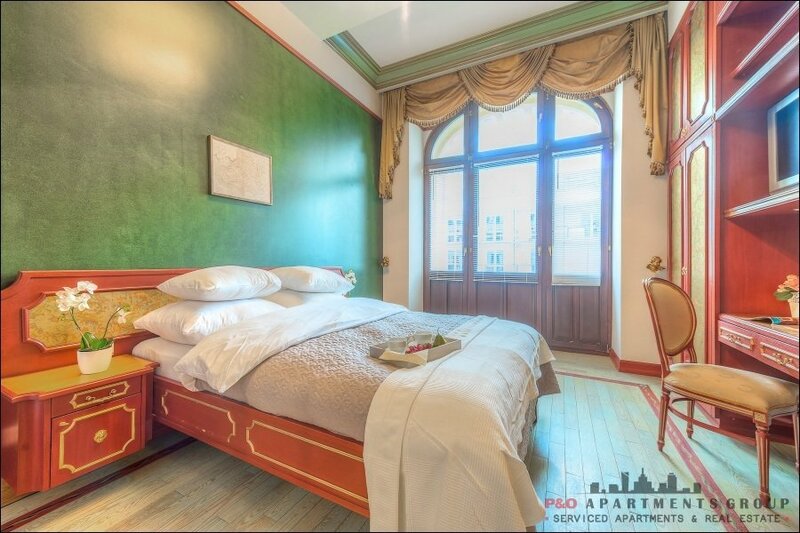 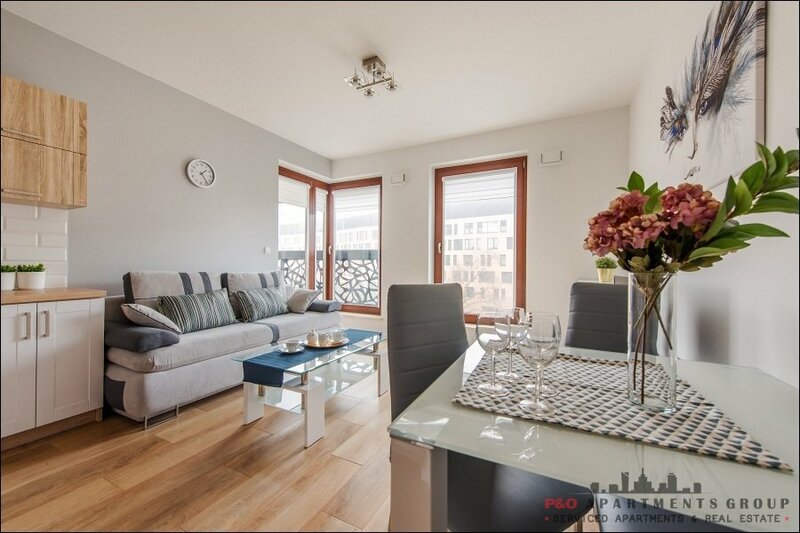 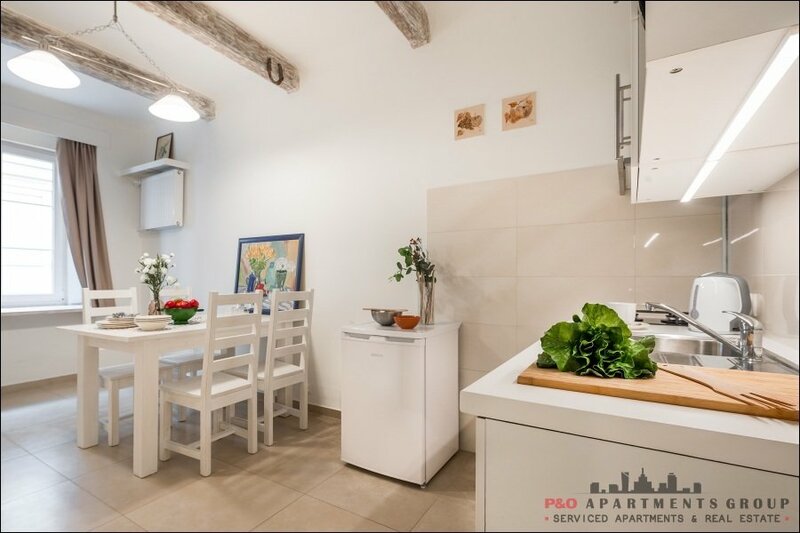 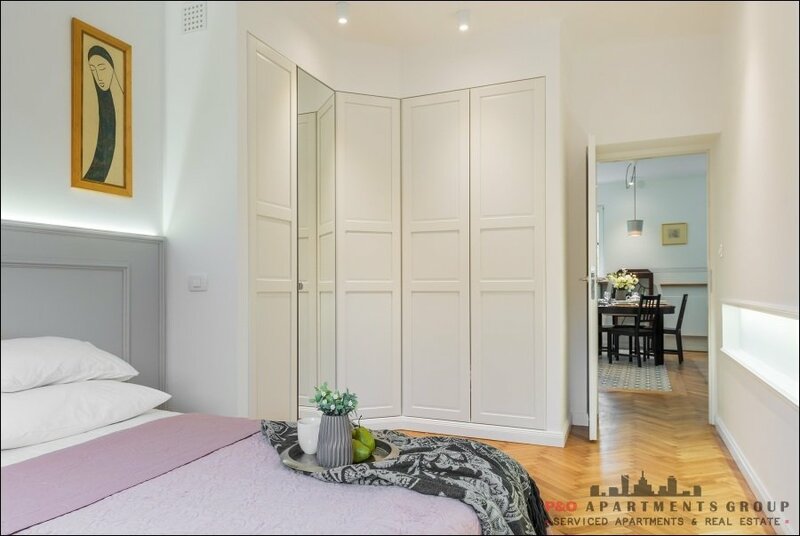 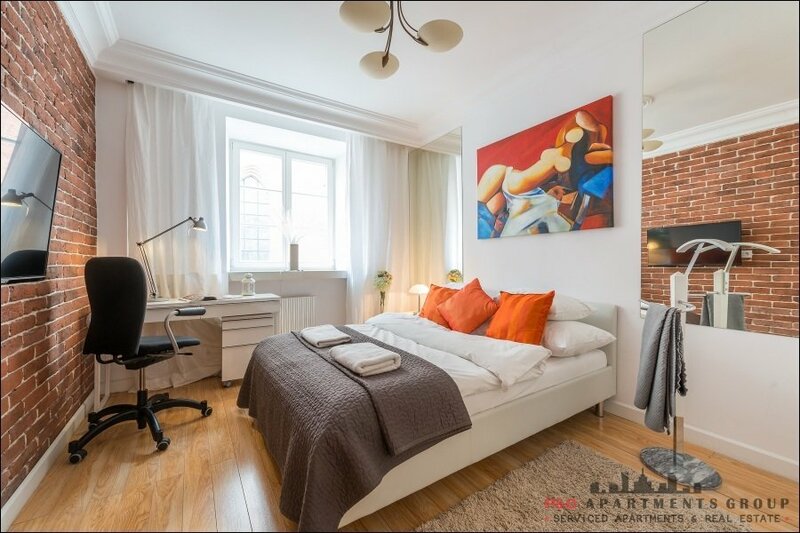 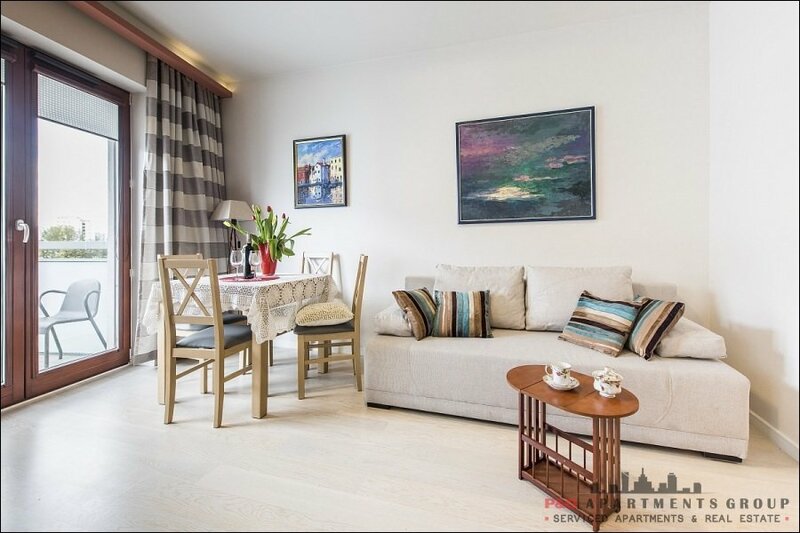 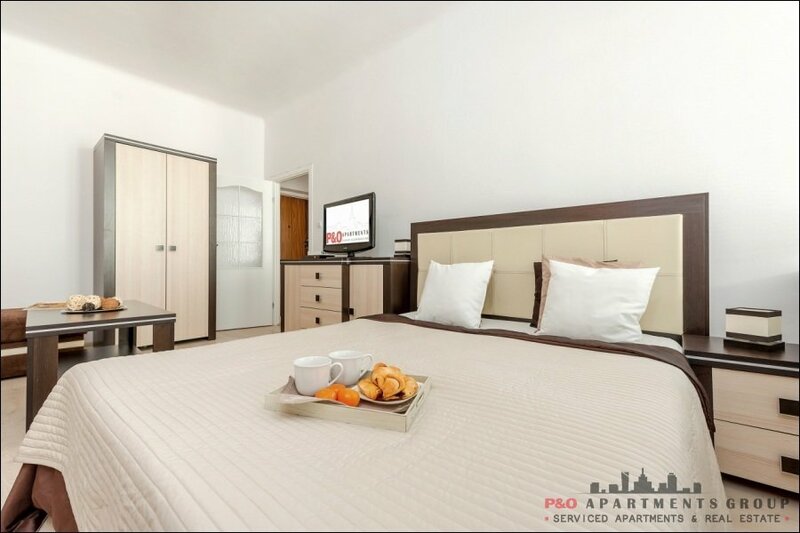 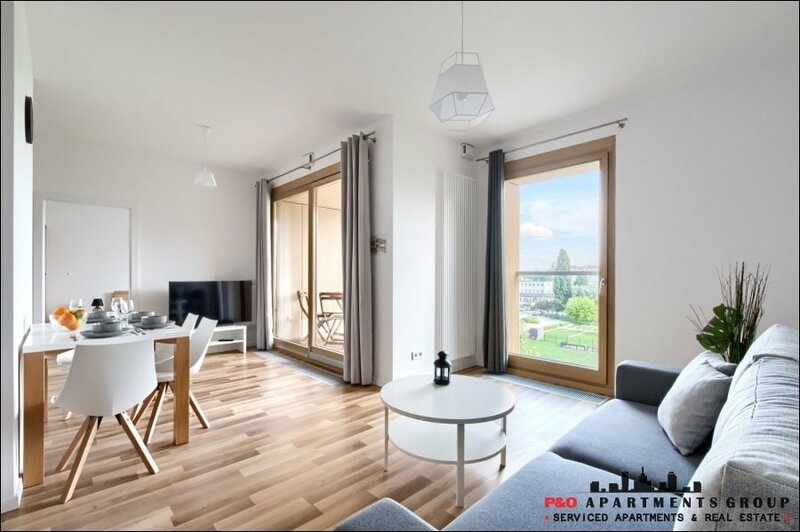 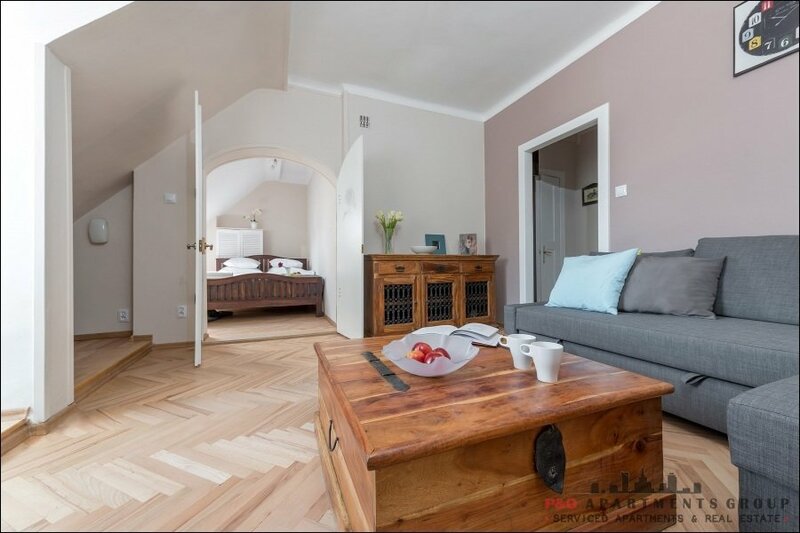 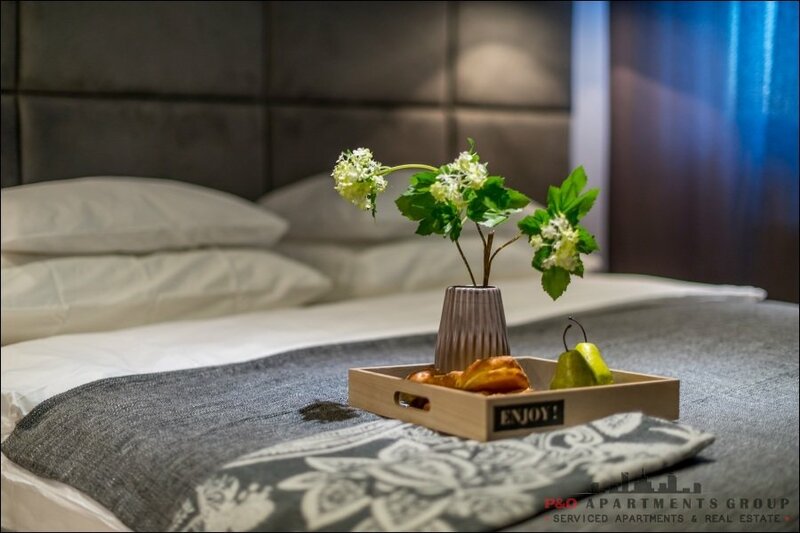 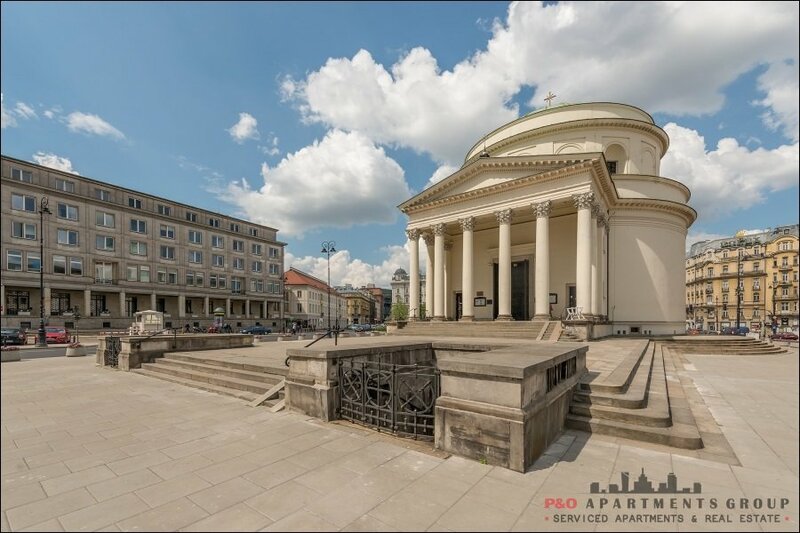 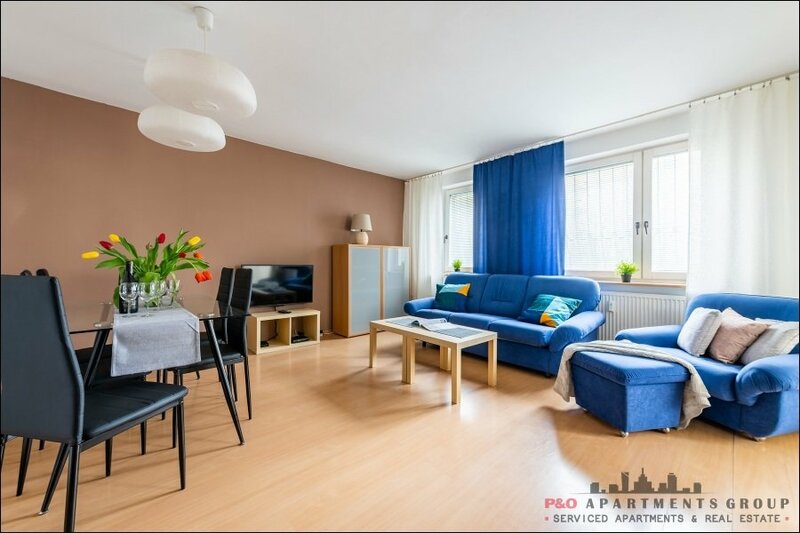 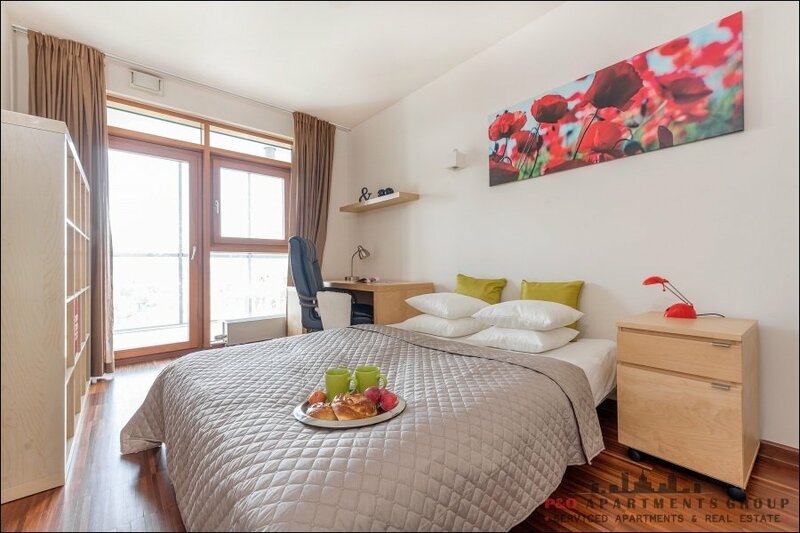 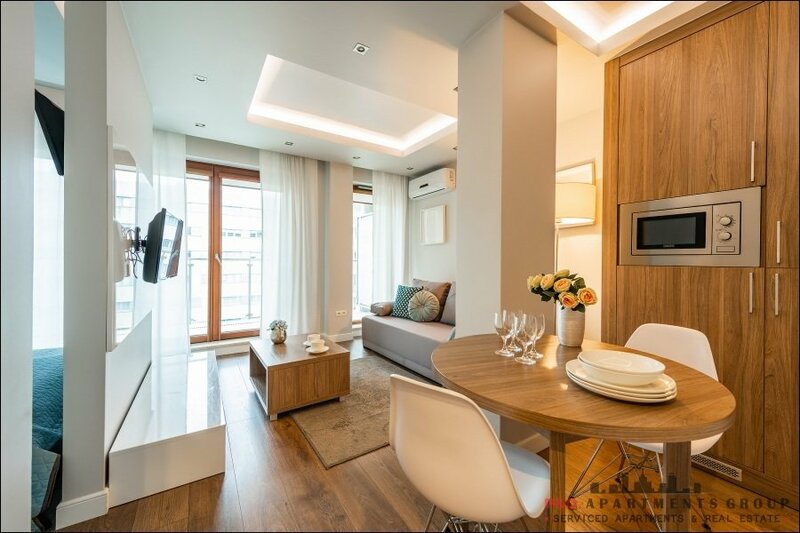 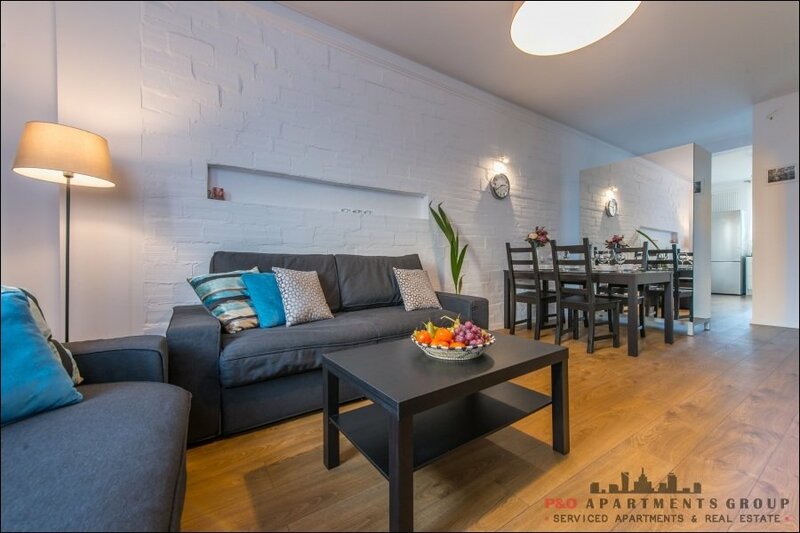 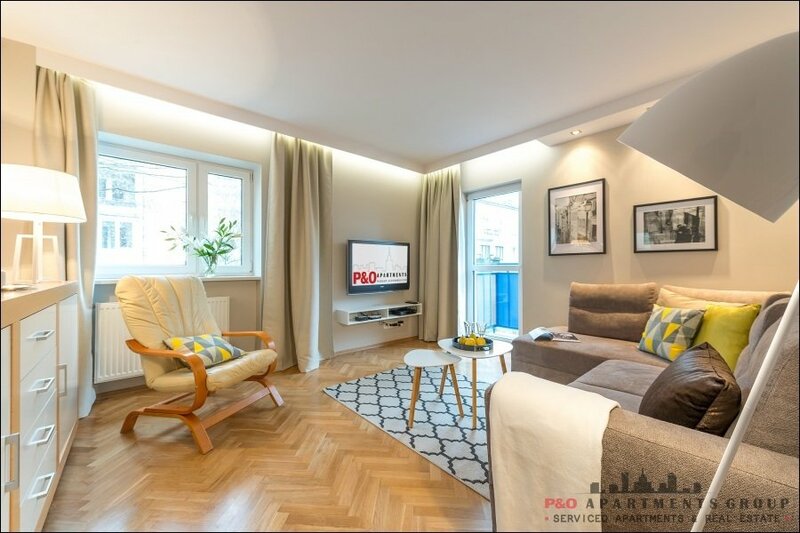 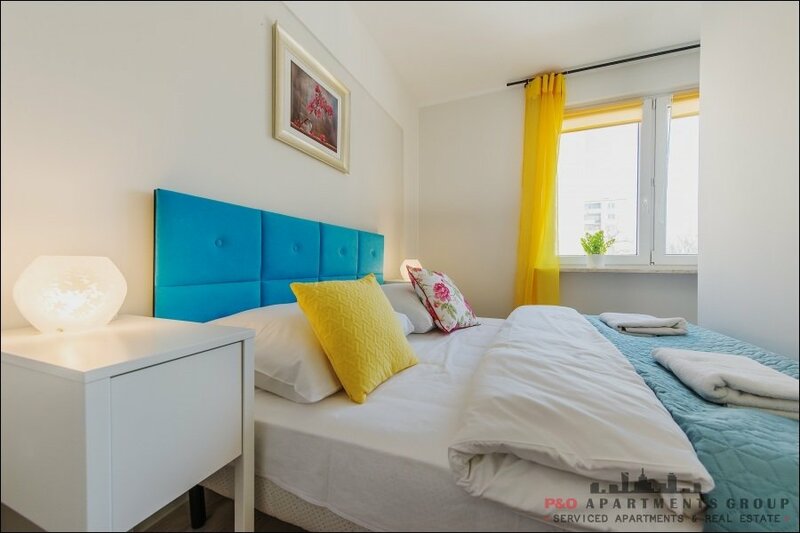 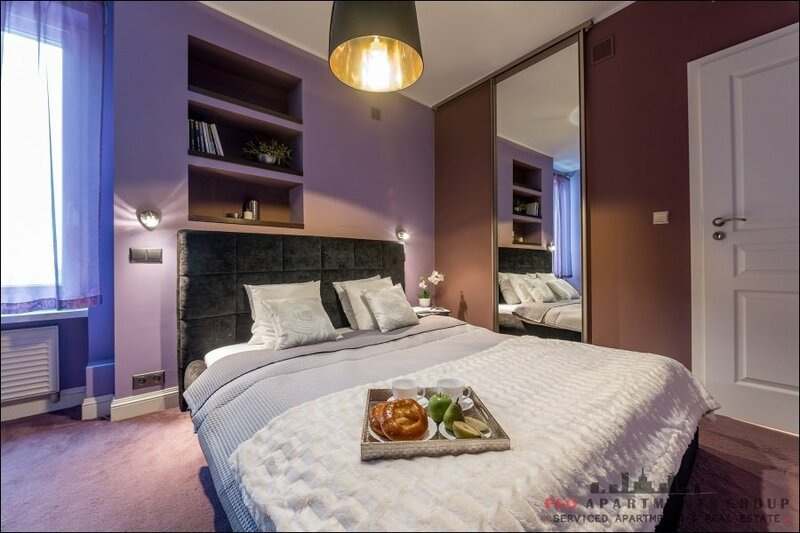 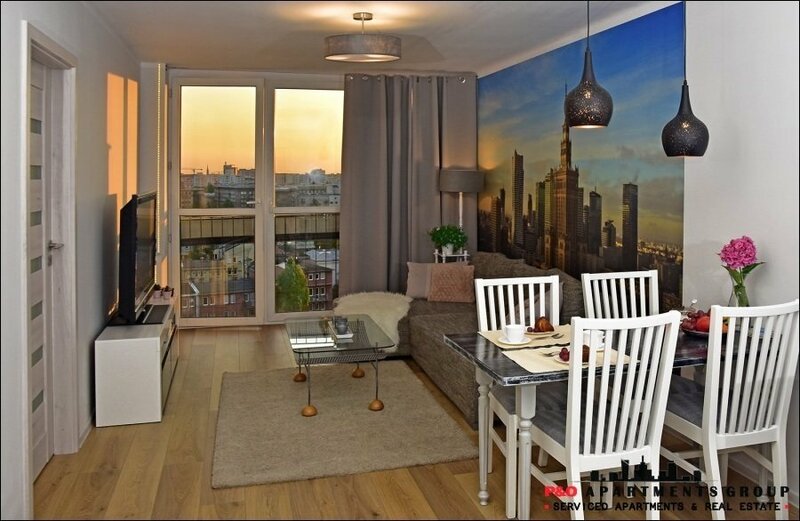 A comfortable apartment in the center of Warsaw, in a new apartment building with security and an underground garage. 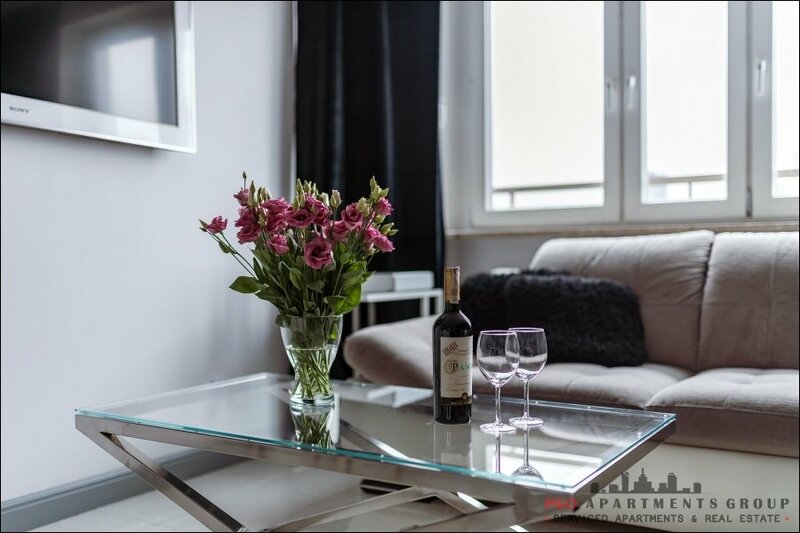 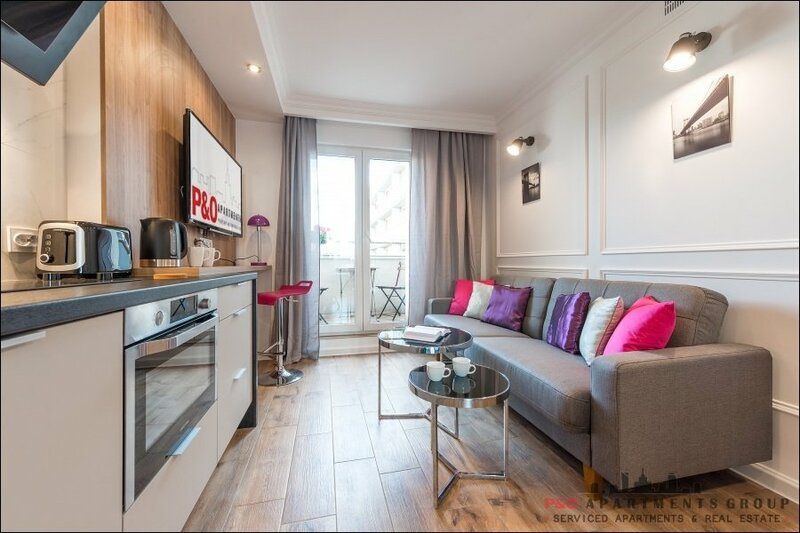 apartments next to the metro station, located near the Old Town and shopping center ARKADIA. 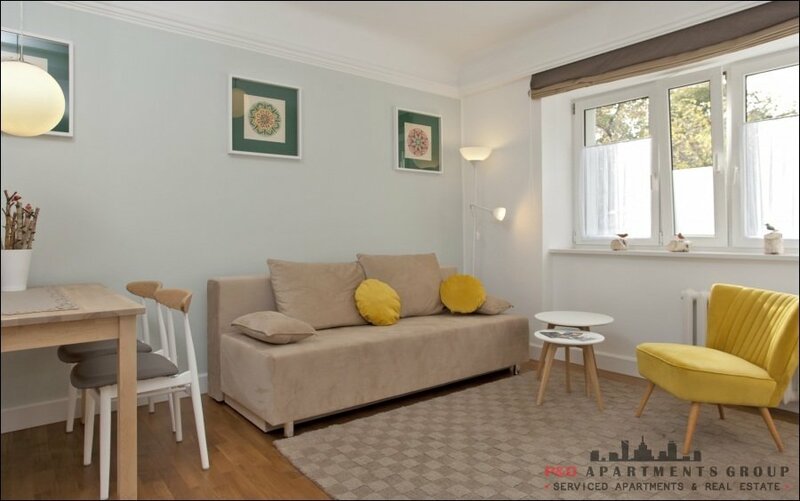 One room with a sofa to sit, a sleeping area with a double bed, a kitchen open to the living room with a small dining area. 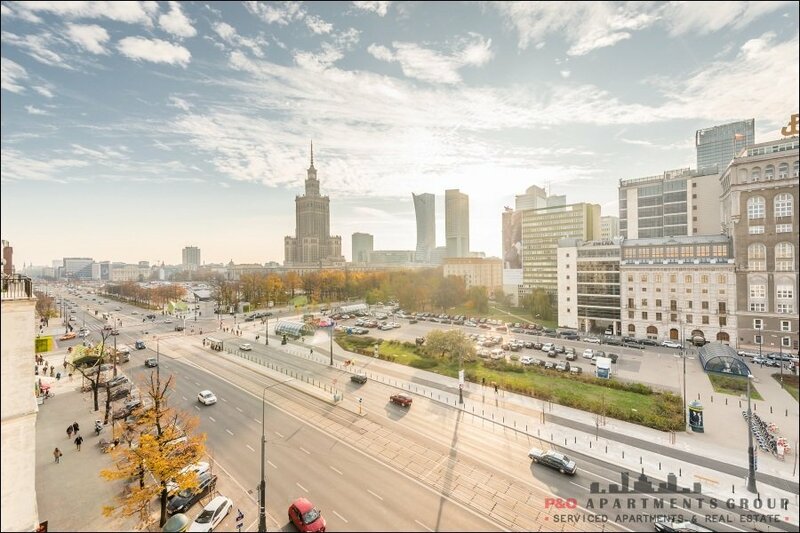 A beautiful panoramic view of Warsaw from the 11th floor, where our apartment is located. 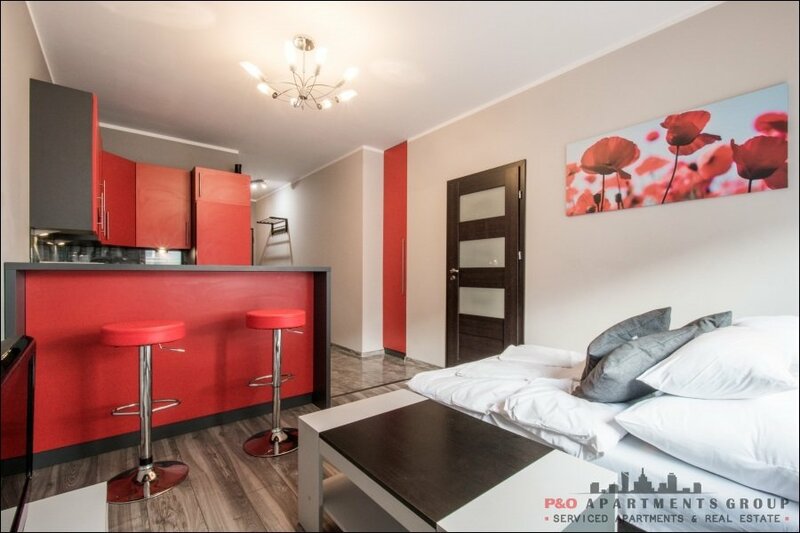 Large bathroom with a bathtub, washing machine, toilet. 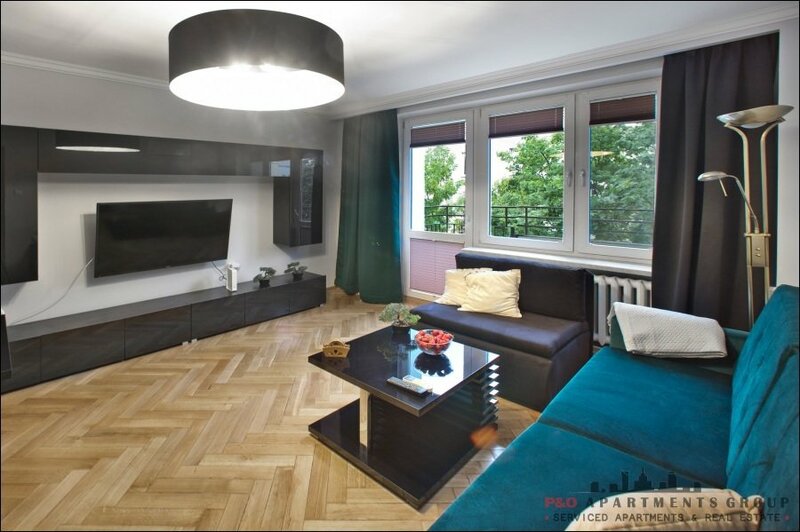 The living room has an LCD TV, a digital TV set-top box, wireless free internet access. 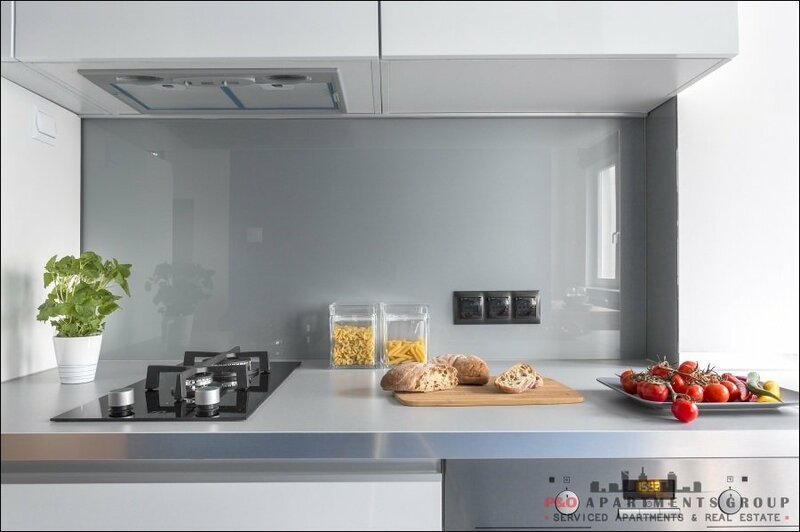 The computer can also be connected with a LAN cable. 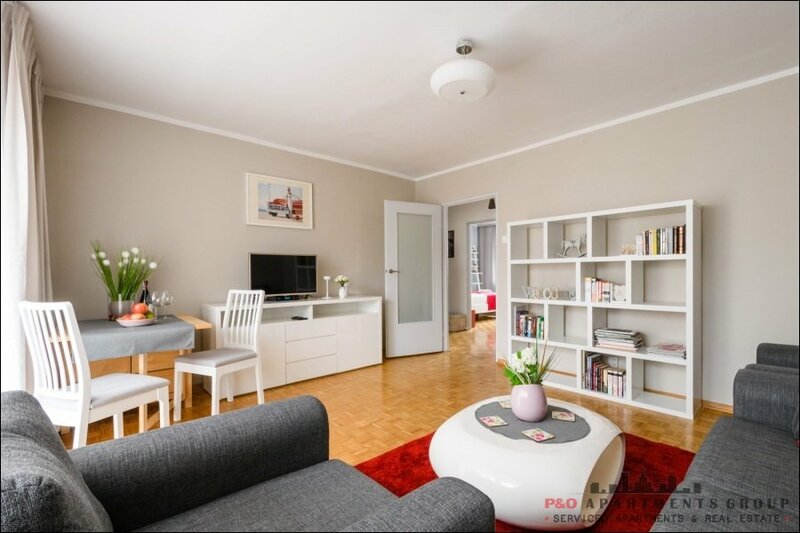 There is also a possibility to rent a portable computer from us. 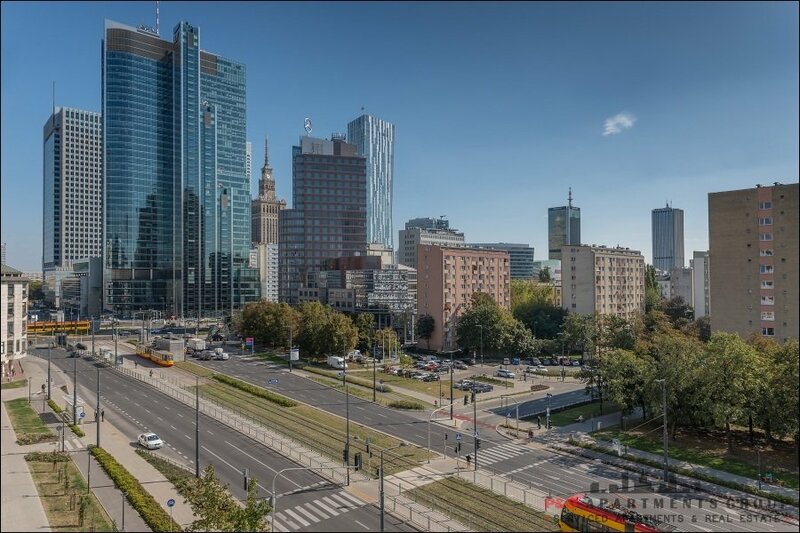 In front of the building there are public transport stops, 'Dworzec Gdański' underground station, tram and bus stops. 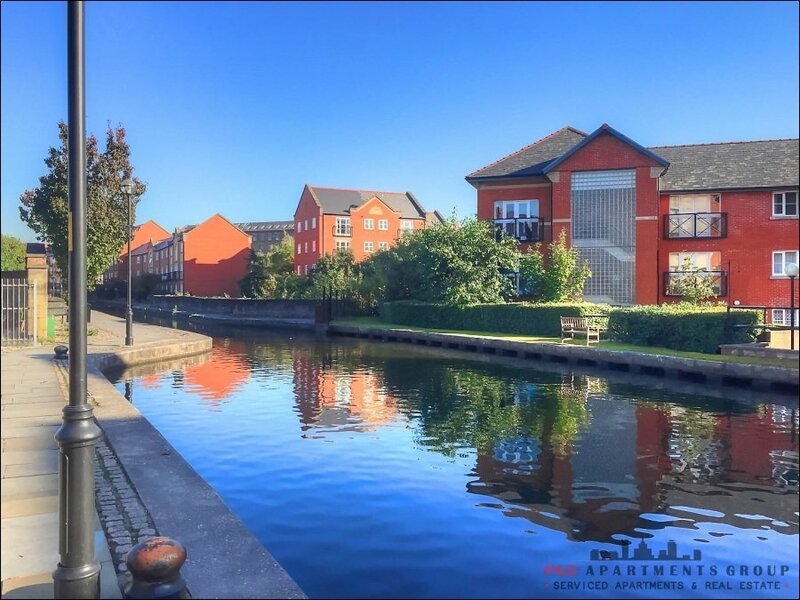 Walking you can walk to the Old Town, in the area a lot of shops, restaurants, cinema, swimming pool, etc. 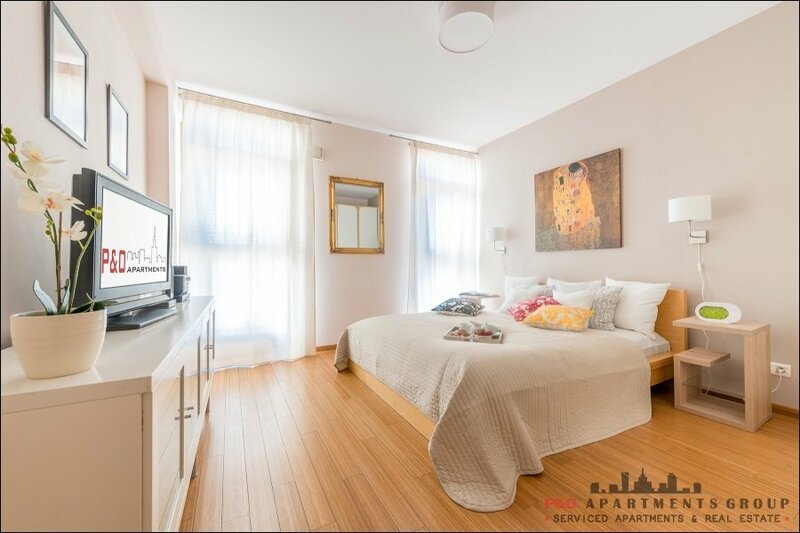 Bathroom: bathtub, toilet, washbasin, washing machine. 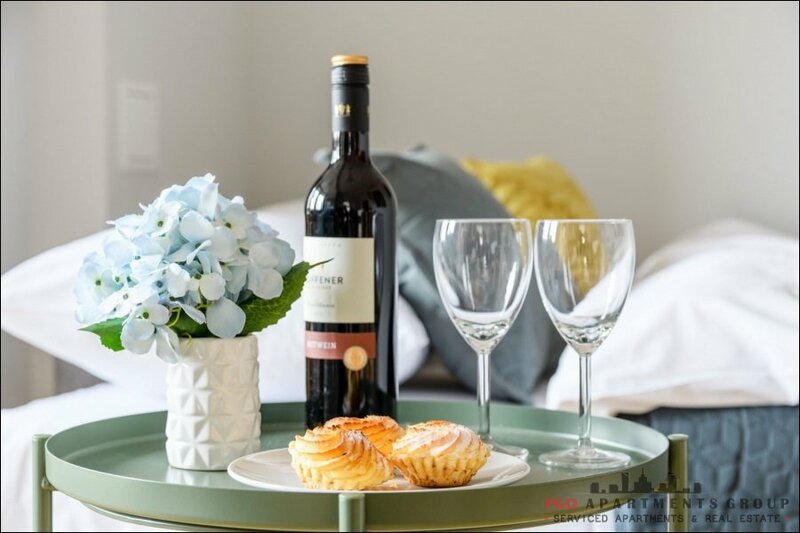 On the ground floor of the building, we recommend "cafe & wine bar 5" where you can order breakfast, have dinner or a gala dinner with a good wine. 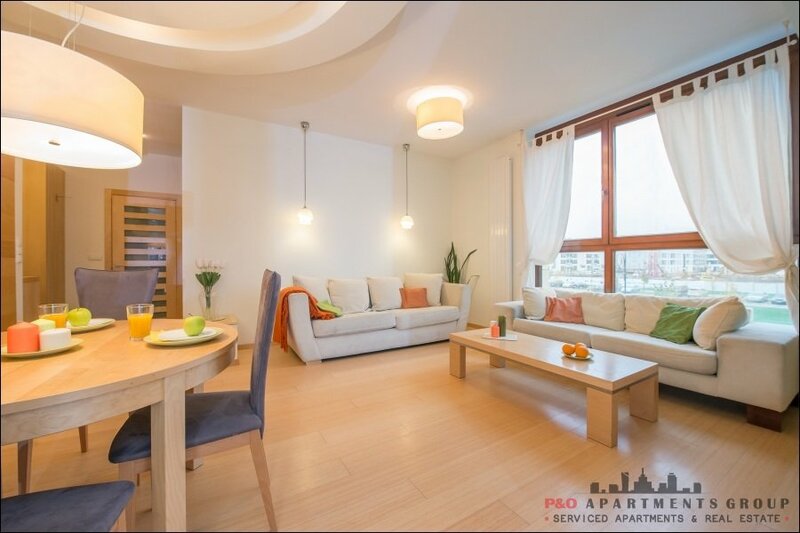 There is also a grocery store in the building, a solarium and a beauty parlor nearby.